In late September I recorded a podcast with Nerd City Online’s Ben Spencer, Max Minor, producer Jim Kyle, and um, a fourth guy, whose name I think is Joe (unpictured). For almost the whole thing I’m “UMMMMM” this, and “I have no answer” that, and then just as we are finishing I’ve suddenly found my stride, very “I love Miller High Life in a bottle!” So I am, as per usual, the weak link in an otherwise solid production. My failings notwithstanding, you’ll love Nerd City, a Chicago-centric culture-cast about comics, movies, video games, toys, and more. After some ado, E. Jeremy Parish has returned with the 68th episode (what? How did that even happen?) 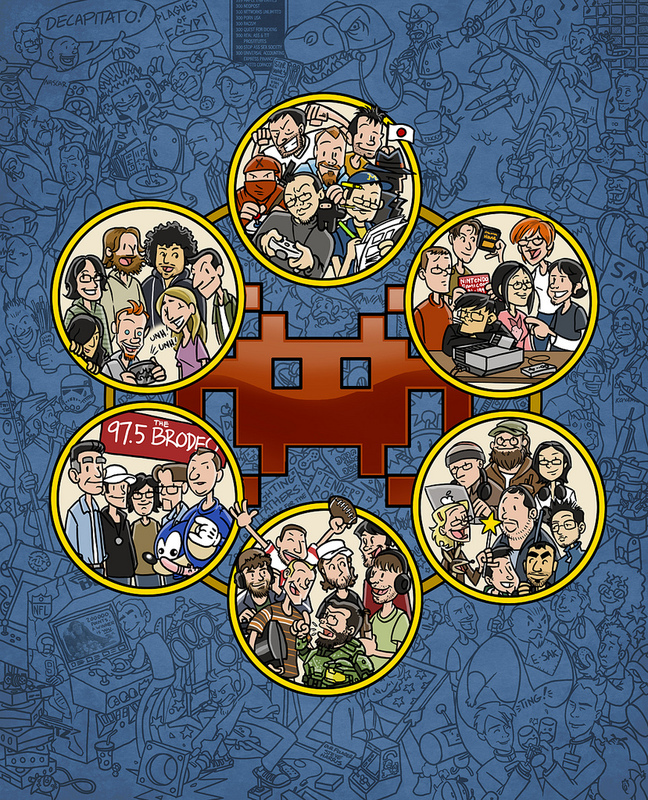 of Retronauts, the podcast that revitalized 1UP.com’s retro games brand way back in 2006. This time, Parish experiments with a new ‘sections-based’ format, with Ray Barnholt stopping by in the first half hour to talk about the 20th anniversary of the Nintendo Game Boy. Kurtis Seid guests for twenty minutes to discuss 1996’s Vandal Hearts and its anticipated XBLA sequel. Another twenty-minute segment is dedicated to Kohler and Final Fantasy remakes. And then, in the last hour (?! 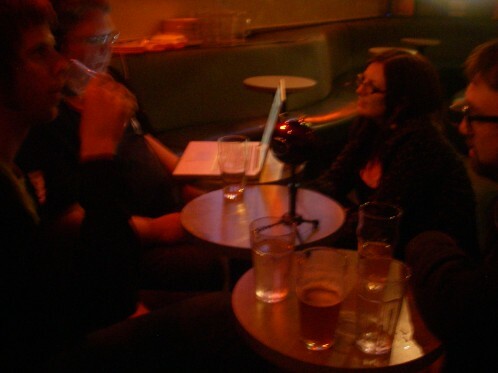 ), an underedited Kohler and J. Frank sift through Jeremy’s mailbag, during what is essentially my hard-won Retronauts and Gaming for Money farewell (direct link). Like a ghost who hasn’t yet gone into the light, I can finally vanish into grad school in peace. edit: To the music of Metroid II, my favorite. I used to very literally wallpaper my desk with artist Bill Mudron’s deliriously detailed EGM illustrations. Each panorama is a tangle of pictorial puzzles, the geek equivalent of a Peter Spier painting. In lieu of recent events, Mudron’s latest is this bittersweet cartoon collage of happier days. Each bubble is crowded with some of the people and in-jokes, past and present, that made each of the micro-franchises fan favorites. Plenty more at the link, below.